I specialize in individual and tailor-made tours just for you and your group. I customize your trip in co-operation with you. 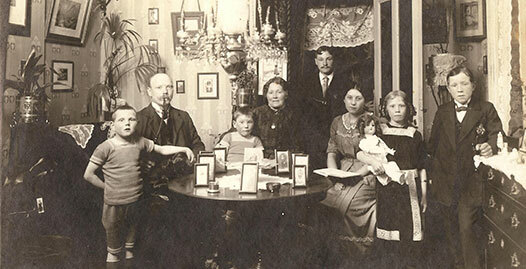 On our genealogy tours you will see the specific places in Denmark, where your ancestors lived. I will help to find the exact places. A customized guided tour by car, van or bus to the areas where your ancestors came from. Accomodation at 3* and 4* hotels. Several lunches and dinners at local restaurants and inns with typical Danish and/or international food. Several inside visits/attractions, transfer to/from airport/hotel, and professional guide service during the tour. Included is also my work to locate the exact houses, farms, schools, churches, etc., which have relevance for you and your group. Airfare is NOT included. Drinks are NOT included. Danish censuses, church records and emigration records are available in digital form on www.sa.dk, www.arkivalieronline.dk and www.ddd.dda.dk. Other relevant sources are www.familysearch.com and www.ellisisland.org. If you need help, we can assist you in finding information about your Danish ancestry. To find the exact places, where your Danish relatives lived, I search in digital records and records that are only available in paper form at local archives. That could be tax records, house insurances, records of deeds, and old maps. If the house or farm still exists, we will try to get permission to visit it. As the trips are tailored to just you and your group, it is not possible to give an exact price here. The total price of the trip depends on the number of passengers and number of days in Denmark. Typically, a tour of 6 days (5 nights) costs DKK 8,000 (approx. USD 1,200) per person. The typical price of a journey of 6 days (5 nights) for 2 people will be DKK 9,500 (approx. USD 1,400) per person. Danish Heritage Tours was founded in 2013 by Henriette Kragh Brink, MA in History & Auth. Tourist Guide, who is also owner and CEO. 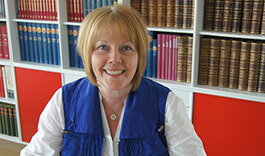 As a historian I am familiar with researching the archives of Denmark and I have extensive knowledge of genealogy. Ihave written several books and articles on cultural and local history and is often requested for lectures.